dedication from all of the kids. 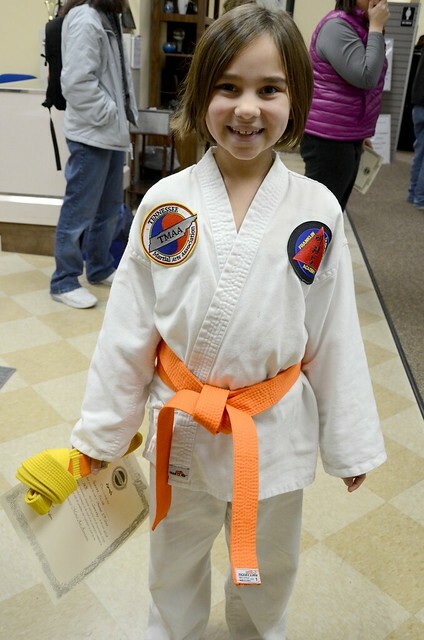 She was set to test in December, but she got strep throat the day before the testing. She was so upset that she missed it. She had to wait a whole month to test. She was devastated at first, but eventually took it all in stride. 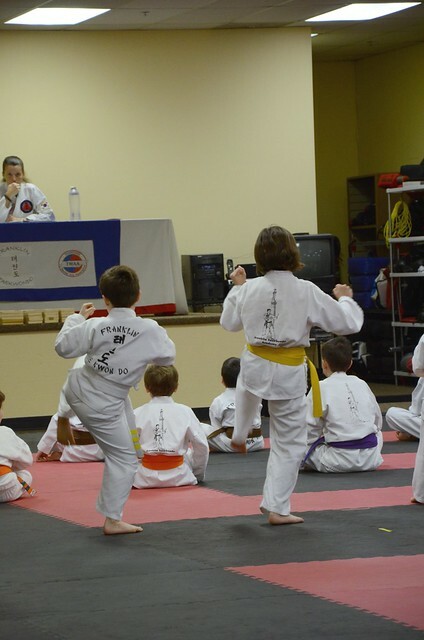 The extra month of practice made testing a breeze. 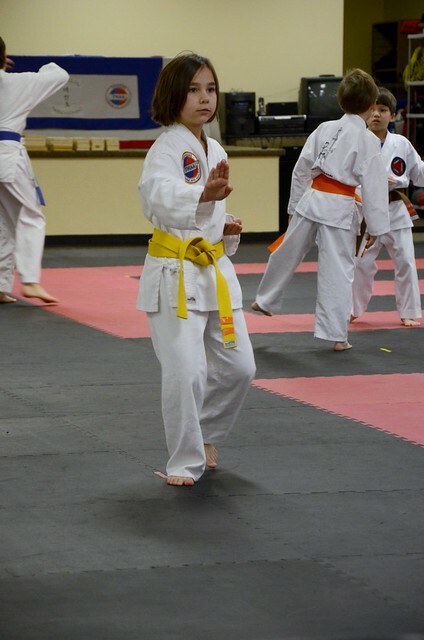 The testing took 3 hours, but she left with an orange belt. I am so proud of you Harper!!!! Wow a three hour physical test???? Holy Moly she should be very proud of herself. that could not have been easy! oh wow! she should feel so very proud of herself. What a cool thing. :) love her smile. THAT is great! Nice work, Harper.